This 16 oz. rip hammer is forged in 1-piece and has our exclusive beautiful laminated leather grip. Which has been the traditional hammer of carpenters world wide. This hammer is fully polished and has unsurpassed balance and temper. Made in the USA. Estwing's Solid Steel Claw Hammers provide unsurpassed balance and temper. The head and handle are forged in one piece. Solid America Steel Smooth Face Three Sizes: 12, 16 and 20 oz. head weight Genuine Leather Grip Made in the U.S.A.
World famous Sportsman's Axes are the choice of outdoorsmen everywhere. This axe is forged in one piece with a genuine leather grip. A must for all campers! Each axe comes with a heavy duty nylon sheath. Solid America Steel Hand Sharpened Edge 2.75" or 3.25" edge 12.5" or 13.5" length Genuine Leather Grip Black Nylon Sheath Included Made in the U.S.A. Product Description World famous Estwing leather grip rock pick with beautiful leather grip. Solid America Steel Pointed tip Smooth face 22 oz. head weight Genuine Leather Grip #1 Choice of Geologists Worldwide Made in the U.S.A. 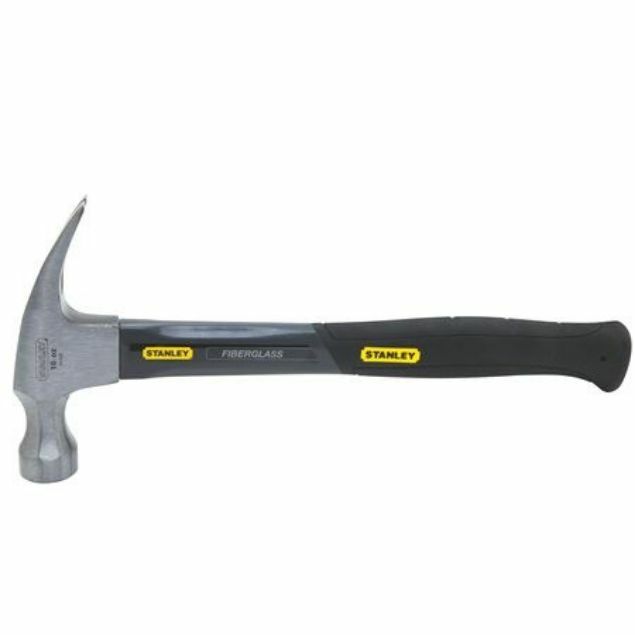 Product Description Estwing's Solid Steel Curved Claw English Pattern Hammers provide unsurpassed balance and temper. The head and handle are forged in one piece. Solid America Steel English Pattern Claw Hammer Smooth Face Two Sizes: 24 or 28 oz. head weight Genuine Leather Grip Made in the U.S.A.